The Sanskrit term “Shankramana” means “to begin to move”. The day on which the sun begins to move northwards is called Makara Shankranti. It usually falls in the middle of January. Among the Tamilians in South India this festival is called the Pongal. To many people, especially the Tamilians, Makara Shankranti ushers in the New Year. The corn that is newly-harvested is cooked for the first time on that day. Joyous festivities mark the celebration in every home. Servants, farmers and the poor are fed and clothed and given presents of money. On the next day, the cow, which is regarded as the symbol of the Holy Mother, is worshipped. Then there is the feeding of birds and animals. In this manner the devotee’s heart expands slowly during the course of the celebrations, first embracing with its long arms of love the entire household and neighbours, then the servants and the poor, then the cow, and then all other living creatures. Without even being aware of it, one develops the heart and expands it to such proportions that the whole universe finds a place in it. As Shankranti is also the beginning of the month, Brahmins offer oblations to departed ancestors. Thus, all the great sacrifices enjoined upon man find their due place in this grand celebration. The worship of the Cosmic Form of the Lord is so well introduced into this, that every man and woman in India is delightfully led to partake of it without even being aware of it. To the spiritual aspirants this day has a special significance. The six-month period during which the sun travels northwards is highly favourable to them in their march towards the goal of life. It is as though they are flowing easily with the current towards the Lord. 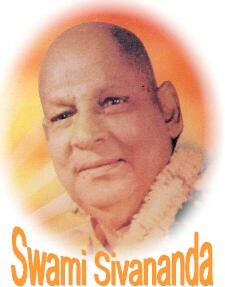 Paramahamsa Sannyasins roam about freely during this period, dispelling gloom from the hearts of all. The Devas and Rishis rejoice at the advent of the new season, and readily come to the aid of the aspirant. The great Bhishma, the grandfather of the Pandavas, was fatally wounded during the war of the Mahabharata, waited on his deathbed of nails for the onset of this season before finally departing from the earth-plane. Let us on this great day pay our homage to him and strive to become men of firm resolve ourselves! As already mentioned, this is the Pongal festival in South India. It is closely connected with agriculture. To the agriculturalist, it is a day of triumph. He would have by then brought home the fruits of his patient toil. Symbolically, the first harvest is offered to the Almighty—and that is Pongal. To toil was his task, his duty, but the fruit is now offered to Him—that is the spirit of Karma Yoga. The master is not allowed to grab all the harvest for himself either. Pongal is the festival during which the landlord distributes food, clothes and money among the labourers who work for him. What a noble act!—It is an ideal you should constantly keep before you, not only ceremoniously on the Pongal day, but at all times. Be charitable. Be generous. Treat your servants as your bosom-friends and brother workers. This is the keynote of the Pongal festival. You will then earn their loyalty and enduring love. The day prior to the Makara Shankranti is called the Bhogi festival. On this day, old, worn-out and dirty things are discarded and burnt. Homes are cleaned and white-washed. Even the roads are swept clean and lovely designs are drawn with rice-flour. These practices have their own significance from the point of view of health. But, here I remind you that it will not do to attend to these external things alone. Cleaning the mind of its old dirty habits of thought and feeling is more urgently needed. Burn them up, with a wise and firm resolve to tread the path of truth, love and purity from this holy day onwards. This is the significance of Pongal in the life of the spiritual aspirant. If you do this, then the Makara Shankranti has a special significance for you. The sun, symbolising wisdom, divine knowledge and spiritual light, which receded from you when you revelled in the darkness of ignorance, delusion and sensuality, now joyously turns on its northward course and moves towards you to shed its light and warmth in greater abundance, and to infuse into you more life and energy. In fact, the sun itself symbolises all that the Pongal festival stands for. The message of the sun is the message of light, the message of unity, of impartiality, of true selflessness, of the perfection of the elements of Karma Yoga. The sun shines on all equally. It is the true benefactor of all beings. Without the sun, life would perish on earth. It is extremely regular and punctual in its duties, and never claims a reward or craves for recognition. If you imbibe these virtues of the sun, what doubt is there that you will shine with equal divine lustre! He who dwells in the sun, whom the sun does not know, whose body the sun is, and by whose power the sun shines—He is the Supreme Self, the Indweller, the immortal Essence. Tat Twam Asi—“That thou art”. Realise this and be free here and now on this holy Pongal or Makara Shankranti day. This is my humble Pongal prayer to you all. On the Shankranti day, sweets, puddings and sweet rice are prepared in every home, especially in South India. The pot in which the rice is cooked is beautifully adorned with tumeric leaves and roots, the symbols of auspiciousness. The cooking is done by the women of the household with great faith and devotion, feeling from the bottom of their hearts that it is an offering unto the Lord. When the milk in which the rice is being cooked boils over, the ladies and the children assemble round the pot and shout “Pongalo Pongal!” with great joy and devotion. Special prayers are offered in temples and houses. Then the people of the household gather together and partake of the offerings in an atmosphere of love and festivity. There is family re-union in all homes. Brothers renew their contacts with their married sisters by giving them presents. The farmer is lovingly greeted by the landlord and is given presents of grain, clothes and money. On the next day, the herds of cows are adorned beautifully, fed and worshipped. In some villages the youth demonstrate their valour by taking “the bull by the horn” (and often win their brides thereby!). It is a great day for the cattle. On the same day, young girls prepare various special dishes—sweet rice, sour rice, rice with coconut—and take them to the bank of a river or tank. They lay some leaves on the ground and place on them balls of the various preparations for the fish, birds, and other creatures. It is an extremely colourful ceremony. The crows come down in large numbers and partake of the food. All the time a valuable lesson is driven into our minds—“Share what you have with all”. The crow will call others before beginning to eat. Both these days, which are family re-union days, are regarded as being inauspicious for travel. This is to prevent us from going away from home on those days. When you celebrate the Shankranti or Pongal in this manner, your sense of value changes. You begin to understand that your real wealth is the goodwill and friendship of your relatives, friends, neighbours and servants; that your wealth is the land on which your food grows, the cattle which help you in agriculture, and the cow which gives you milk. You begin to have greater love and respect for them and for all living beings—the crows, the fish and all other creatures. In Maharashtra and in North India, spiritual aspirants attach much importance to Makara Shankranti. It is the season chosen by the Guru for bestowing his Grace on the disciple. In the South, too, it should be noted that it was about this time that Mahadeva favoured several of the Rishis by blessing them with His beatific vision.